Liam O’hUigin from http://www.corcaigh.net, being recently presented an award in Cork City Hall by Deputy Lord Mayor of Cork City, Cllr. Joe Kavanagh. 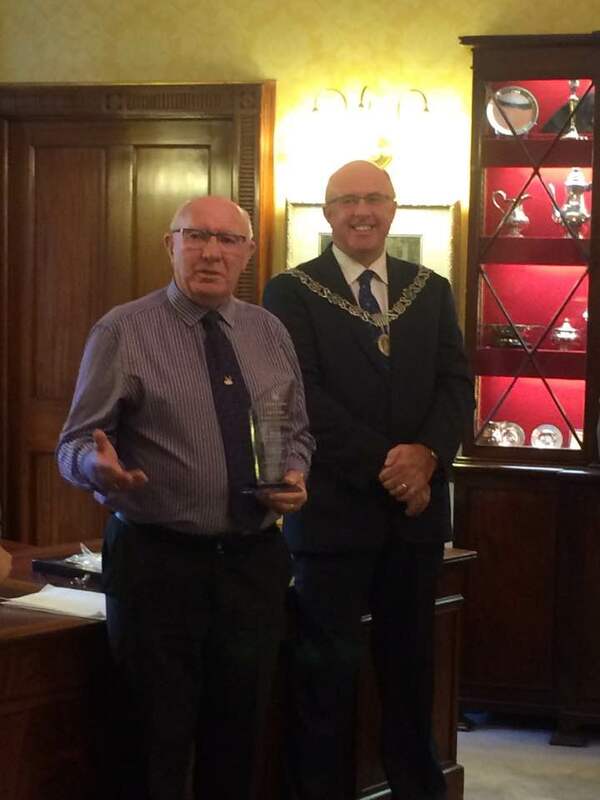 This award was in recognition of Liam’s efforts and contribution in the promotion of the heritage and history of his native city. This will be starting from Paradise Place/Castle Street to North Gate Bridge. starting at 5pm, on Saturday the 20th of Aug. 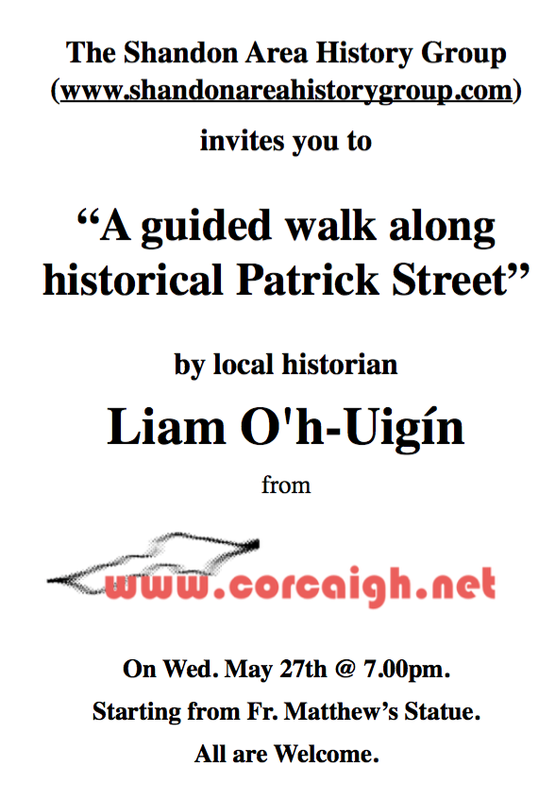 Following recent success with the Cork Adult Education Council’s, Annual Lunchtime Lectures in the 2016 Commemoration Centre, St Peter’s Church, North Main Street, Cork, we have another chance to see this presentation by Liam O’hUigin, Cork Historian from http://www.corcaigh.net, Writer, Tour Guide and PRO of the Ballyphelane Commemoration 1916-2016 Centenary Committee. 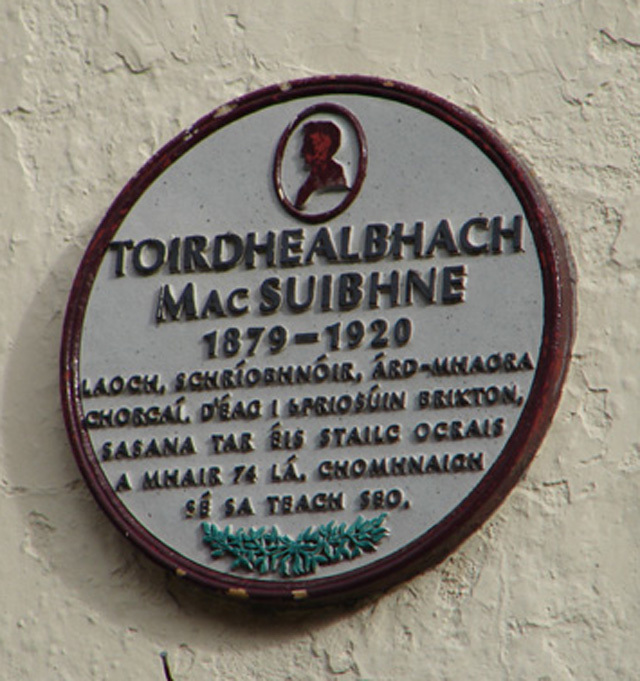 Liam will take us on a fascinating historical journey of Terence MacSwiney, exploring his earlier life, where he was born, where he went to school, where he worked and his involvement with the Volunteers and his hunger strike in Brixton Prison which caught worldwide attention. There may be parking available. Monday, April 4th to Thursday, April 7th. Dr. Sean Pettit, UCC Historian, Author, Lecturer. Lecture Title: The Streets of Cork in 1916. Dr. Sean Pettit is internationally known for his outstanding contribution in promoting his beloved City of Cork. He will take us on a romantic journey through the streets of Cork of 1916 with his collection of vintage photographs, some of which has ever seen before in public. 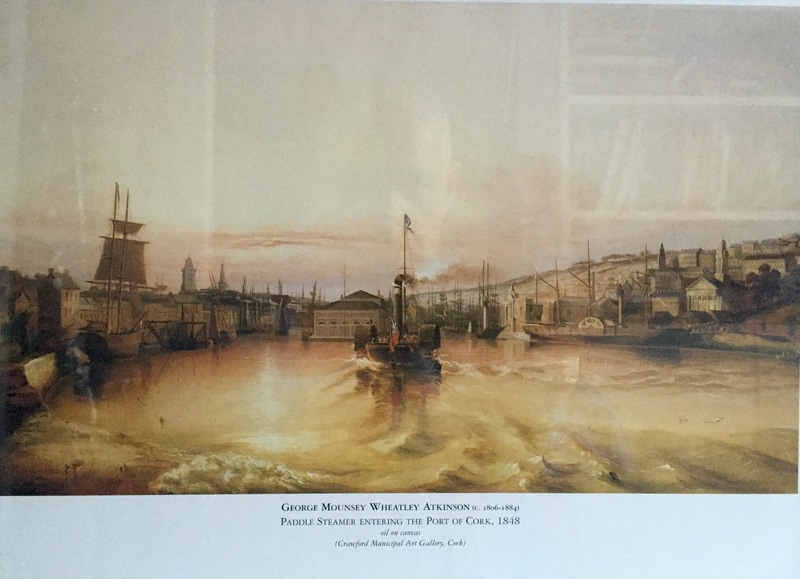 Mark Cronin, Cork Historian, Author, Lecturer and member of the Blackpool Historical Society. Lecture Title: Blackpool in 1916 – A Cork suburb at the Crossroads. The 1916 Rising proved a watershed in Irish history and Mark’s lecture will look at Blackpool, an urban Cork community, and explore the origins of ‘the revolution’ in a local setting with of course Tomas MacCurtain as a pivotal figure. Liam O’hUigin, http://www.corcaigh.net, Cork Historian, Writer, Tour Guide and PRO of the Ballyphelane Commemoration 1916 -2016 Centenary Committee. Lecture Title: The Life and Death of Terence MacSwiney. John Jefferies, Cork Historian, Writer and Lecturer, Committee member of the Spirit of Mother Jones Festival and Summer School is well-known for promoting the rich colourful heritage of Cork. Lecture Title: 1916 and the Cobh Volunteers – Rebels in the Bastion of Empire. On Easter Saturday 1916, John will discuss how 13 Cobh Volunteers mobilised to join the Rising in Cork. Three other Cobhmen rose elsewhere. They were raising the flag of revolution in the ultimate garrison town. Local Historian Liam O’hUigín will give a guided walking tour on the history of North Main Street, starting at 3pm, 22nd of Aug, 2015 from Paradise Place, Castle Street, Cork. Local Historian Pat Kelly will give a guided walking tour on reclaiming the Easter Marsh. The tour will go from Parnell Place to Anglesea Street and will include a brief history of the Model School on Anglesea Street. Starting at 11am 22nd of Aug, 2015 from Parnell Place, Cork. Only one of the many on display in the Crawford art gallery, in Cork. On Wed. May 27th @ 7.00pm. Starting from Fr. Matthew’s Statue.